One of the big cinematic losses of 2015 was Christopher Lee, whose decades-long career was filled with iconic performances. But the role that Lee played so memorably in Lord of the Rings wasn’t his first choice. 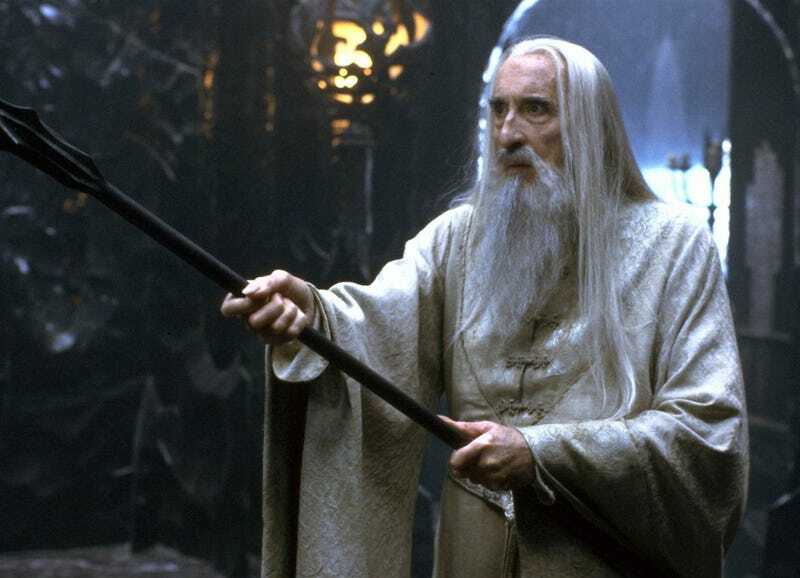 In an interview with Entertainment Weekly that’s filled with fond memories of Lee, Lord of the Rings director Peter Jackson admits he wanted Lee to play Saruman the White from the start, despite hearing that the actor wasn’t interested in any more villain roles. A very awkward 30 minutes followed, with Fran and I trying our best to explain to a rather peeved Christopher Lee that we were already talking to Ian McKellen about Gandalf — but what an incredible Saruman he would be! Chris wasn’t hearing a bar of it, and eventually commanded us to turn on the video camera so he could audition for Gandalf ... Eventually we confirmed Ian for Gandalf and officially offered Chris the Saruman role. We started shooting, and whenever we discussed Saruman’s scenes with Chris, he would always feel the need to say, “You must understand, Peter — he’s really not an evil man.’ He was carrying some heavy scars of Dracula of his own, and I felt it quite strongly. That was the bittersweet reality with Chris — while he regarded his cinematic history with a certain amount of disdain, everyone around him had the opposite opinion. Read the entire interview here—it’s well worth it; Jackson waxes rather charmingly about his long-standing admiration of Lee and love of Hammer horror movies, and shares several anecdotes about his relationship with the star.